Connecting with our dealers and sharing in their excitement in the high end audio business is very important to us. We provide quality components from all over the world that we feel represent nothing but the best. With our 40+ years of experience in high end audio components, we pride ourselves on longstanding relationships. Our manufacturers are well known for product lines that not only stand the test of time, but also beautify your customer’s homes for a many years to come. We are dedicated to delivering a high level of service as required by our world-class manufacturers. Our dealers are regularly updated with the newest developments in our product lines. We welcome your questions and comments. 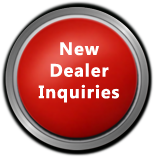 For new dealer inquiries please visit the dealer contact page.